The Green Lantern superhero zooms at light speed, and so did our casters. The crew from Big Moose Construction needed two large rubber wheels for a helicopter in an action scene they were shooting the next day. That’s when they called us. Because the set crew couldn’t find anyone who could deliver the wheels so quickly, they turned to our rep, Larry Latimer. Larry recommended our W-1650-SPRT-1-1/4 Heavy Duty Semi-Pneumatic Wheels, which we could ship the same day. They couldn’t believe it. We shipped the wheels on Friday and they arrived on Saturday. Fortunately for moviegoers, the wheels made the scene possible. The Green Lantern saves innocent people from an out-of-control helicopter. Unfortunately for us, the wheels aren’t visible. Darn! We’re still proud to be famous, kind of! 14,082: Although we keep a lower inventory level because of our vendor quality program, we still have 14,082 different SKUs available for same-day/next-day PRONTO® shipping. The base number of Hamilton parts is 5,445. Of those parts, 4,319 are swivel or rigid casters. Because every caster is available with or without a brake, that number doubles. And because a four-position swivel lock can equip every swivel caster, add another 2,159 parts. Finally, every swivel caster can be equipped with both a brake and swivel lock, so that’s another 2,159, totaling 14,082 separate SKUs. 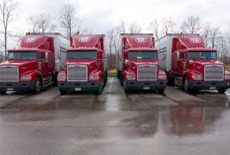 Our same-day shipping performance through six months is nearly 99%, while trucks are only hitting 97%! Before any of our wheels hit a factory floor or movie set (see ‘Green Lantern’ story), they undergo stress treatment in simulated conditions to make sure they can handle the burliest loads without buckling under pressure. Using our standard 10” x 3” cast iron, we apply Finite Element Analysis (FEA) to determine the stress points in a specific part. 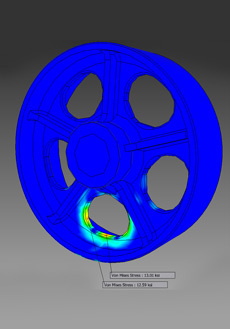 For the pictures simulation, we dumped a 2,600-pound load on a metal wheel with a plain bore. Shown is von Mises stress to predict the yielding of any materials under the load. Blue areas indicate low stress and red areas higher stress. The two areas of higher stress, 13.01 ksi and 12.59 ksi, which equate to a safety factory of more than 2x. 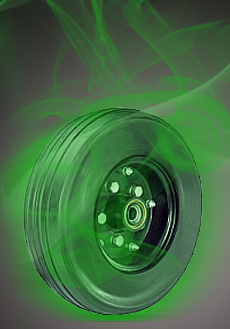 These wheels won’t have any trouble with heavy loads. Last month we unveiled our latest caster series that’s built for speed and 24/7 operations, the Enhanced Heavy Service (EHS) Caster Series. It’s our latest towable caster, and it outperforms and outlasts all others in its class. The EHS Series is perfect for use on in-plant trailers, towline carts and automated-guided vehicle (AGV) systems. EHS combines our new Hamilton Precision Integrated (HPI™) Swivel Technology with polyurethane tread wheels in the popular 6” x 2” and 8” x 2” sizes. HPI™ Swivel Technology outperforms conventional CNC-machined ball raceways, kingpinless and unit load-bearing swivel constructions. They’re 45% harder than conventional hardened raceways with a smooth 16 micro-inch surface. Match your application and environment with one of our five polyurethane treads. The EHS Series is backed by our three-year product warranty. Optional accessories like brakes, swivel locks and swivels seals are available. 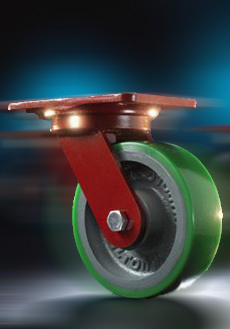 Towable casters for 2.5” and 3” wide wheel widths are also available in our EHD and ES Series. See our website for more information. Everything is bigger in Texas. 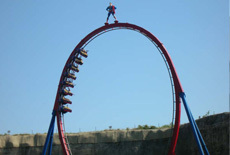 That’s certainly the case for the Superman: Krypton Coaster’s monstrous 145-foot vertical loop. It’s the world’s largest 360-degree vertical loop, which is about the height of a 13-story building. About 1600 riders per hour dangle their legs in the air, reaching top speeds of 70 mph and tumbling through six inversions. The coaster, which opened in 2000, operates in Six Flags in Fiesta, Texas. It’s also the world’s largest and the floorless roller coaster in the Southwestern United States. Check out video of the coaster and see if you can spot the giant loop. Hint: It’s not hard! Years ago, cold calls were standard in business-to-business (B2B) selling. 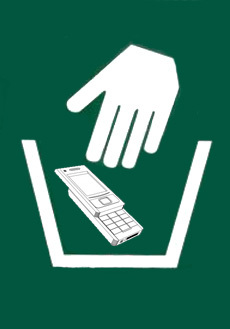 But in the age of the Internet, social media and smart phones, cold calls are a surefire way of losing a sale. • Ditch the cold calls. Use the Web and social media to research each account before pursuing them. Find out everything about the industry and how profitable the account might be. We’re in the information age, and the more facts you have, the more successful you’ll be in sales. • Set a goal and work backward. Learn about what your prospect hopes to gain by investing with you and your company. Once you understand their goals, work backward and list everything you need to fulfill their goals. The challenge? A profitable outcome for you and your account. • Sales calls? You mean business interview. Sales calls are out of place in B2B because no one has time for these often impromptu, one-sided calls. But business interviews imply preparation and participation on both ends. And most importantly, they focus on results, with a clear beginning, middle and end. For more tips on selling B2B, read the full story on Business News Daily.